CRIME : Misconduct in Office and all further offences that may be found by your authority, ex-officio. 1- The investigation, initiated for punitive purposes under disciplinary inquiry about 17 individuals, including Aziz Yıldırım and İlhan Yüksel Ekşioğlu, and Fenerbahçe, Trabzonspor and Sivasspor clubs, was concluded on May 6, 2012 by decision no. 2011/212-10E-2011/2012-1356K of Turkish Football Federation (TFF) and Professional Football Disciplinary Board (PFDK), where it was ruled that there is no punishment applicable to the individuals and the clubs in the particular case. A- In PFDK’s decision, article 2 below the heading ‘Typicality’ is read as follows: “The so-called crime of ‘affecting a match result’ is strictly subject to proving exchange of the gain and other interests between the parties, in terms of penal procedure.”. Aside from being against the law, this description also contradicts with the description of the applicable law; in other words, this description deviates the wording of the applicable law. Article 11 of law no. 6222 clearly provides as follows: “Punishment shall be imposed, as if the crime was completed, even where a mutual understanding was reached on provision of gain and other interests”. 2- Indeed, an abstract agreement on match-fixing is sufficient for commission of the crime. Performance of the agreement or exchange of the specified interest are not sought. Even recession from the agreement would not avoid commission of the crime. The conditions are met once the parties reach the agreement. Law no. 6222 was enacted for securing the public interest in conducting sport competitions free of unfair competition. In this aspect, the concept of interest was considered so wide in disciplinary procedure that it even covers the moral interests. Even reaching a match-fixing agreement, intended for obtaining interest by performing or not performing a certain action between the parties, must be punished as if the crime of match-fixing was completed. Even a recession from the agreement will not avoid occurrence of the crime. Performance or non-performance of the intended action is not required for occurrence of the crime of match-fixing. Reaching the agreement or providing the benefit will alone suffice for occurrence of the crime. Performance of the promised action or provision of the benefit are not required. Existence of a material damage is not necessary for occurrence of the crime. The damage here is the legal situation created in violation of the applicable law. In summary, the outcome of the crime of match-fixing is the match-fixing itself. The crime of match-fixing is not type of a crime, where a certain gain is provided. It is a crime committed by reaching agreement. The crime is completed once the agreement is reached. In this regard, the crime of match-fixing is similar to the crime of bribe. For instance; the executive actions start merely when mr. A, as a club member offered match-fixing to goal-keeper of the other team; by acceptance of the offer, the crime of match-fixing is completed. Making a promise for providing a benefit or interest is adequte for occurrence of the crime of match-fixing. Provision of the interest, in addition, is not sought. Supposing that the goal-keeper of the opponent team was offered procurance of woman. And suppose the goal-keeper accepted the offer. Then the crime of match-fixing has taking place, involving both parties. Suppose the goal-keeper kept his promise by conceding 2 goals. But, the other party failed to procure the woman, though it was agreed so. Still, the crime of match-fixing was committed in the case. Objective of article 11/1 of law no. 6222 is creating a moral and disciplined sporting life. The mentioned law referz to making gain and other interests. The expression ‘other interests’ refers to any type of benefit. Procuring woman or drugs to a sporter, or promising his transfer to a team, offering the player benefits such as travel and holiday, are all included the concept of interest. A sporter could have committed match-fixing just in grace of somebody else, as well. Match-fixing that was committed for avoiding disappointment of a person or for reciprocating a favour are also covered by the concept of interest. For instance; where a footballer is promised to be transferred to a particular club in consideration of his match-fixing, but he is not transferred so in the following season, the crime of match-fixing is committed in the case. However, PFDK made an illegal analysis and committed misconduct of office as it committed misleading actions intentionally by quotting certain suggestions as argument in support, as if they were the provision of law, whereas those suggestions are not included in wording of the relevant law. There is no way for the members of the board to be unaware of the true wording of the construed law, so the consideration made by the board cannot be taken as a construence. B- Below the heading “B-Material element” in the same decision, being subject of the complaint, PFDK kept on making illegal explanations that cannot be taken as construence. So as; The suggestion that “1- The crime of ‘affecting match result’ can be committed by natural persons, exclusively” is false. Any person can commit that crime. Therefore, it is not an exclusive crime. On the other hand, it is provided that the punishment can be increased by half where the crime is committed by persons acting in a certain capacity (art. 11/4-a,b). In its decisions during Constitution of 1982, Constitution Court maintained its approach exactly about its construence of the rule “penal accountability is personal” and as to whether juridical persons have penal accountability under that rule; it found that acknowledgement of juridical persons’ penal accountability is not against the constitution. Therefore, all actions , relating to the match-fixing accusation under the investigation, where the complained decision was abopted, were committed by the board members of the clubs on behalf of the club. Besides, all the actions inure to the benefit of the club, itself. 2- The suggestion that “Victims in the crime of “affecting the match result” can be natural persons, only” is also against the fundamental principles of the law. It is a crime committed against the society. The legal subject of the crime is the social interest in conducting sport competitions free of unfair competition. The victim, who incurred damage as a result of the investigated actions in Trabzonspor Club, itself. If the investigated actions had not taken place, Trabzonspor’s team, whose points were usurped unfairly by the match-fixing actions, would attend to the Champions League directly and would not have to play the qualifying matches. As a result of usurpation of its championship through the match-fixings, some players of Trabzonspor left, so the team was decomposed; therefore, they had to attend the Champions Leage, replacing Fenerbahçe under TFF’s decision, in such an unprepared condition. The successful results and points and revenues that could have been taken was affected by this situation so much. In addition, the team’s revenues from the betting and broadcasting organizations, from the match audiences and sale of licenced product were affected significantly. Accordingly; while the law is so clear, it is not the case that PFDK “construed” the law in the mentioned way. The principles of the law do not allow construence of such explicit provision of law. 4- Determination saying “Where ‘action of affecting the match result’ is not proved by any conclusive evidence, it must be investigated whether there is any activity that confirms existence of the agreement of crime, where relevant persons must have derived material gain etc. from it” does not make sense either, in light of the foregoing explanations. a-) Even the deficiently translated text leads to the same conclusion. CAS sets punishment of the clubs against manipulated games as a requirement, and further stated that the only way to avoid match-fixing is punishment of the club. This point was made in the same way in both the mistranslated text and the true text. However, PFDK somehow(!) failed to get the point. Though there is a very important expression of CAS in the previous paragraph of the same award, PFDK did not make quotation from that sentence. Let us quote translate that sentence: “Article 11 2004 DR provides for the possibility to sanction clubs for actions of their players or officials. ; “disciplinary measures may be taken against member associations or clubs if a team, player, official or member is in breach of article 5 DR.”. As mentioned before, in light of the expert’s report, the result of the first game and the overall circumstances as described above, the Panel is convinced to its comfortable satisfaction that Mr. Zabrcanec, President of Pobeda, indeed influenced some players and the coach in order to ensure that the plot succeeded. The mere fact that the president of Pobeda is found guilty of fixing matches is, according to article 11 2004 DR, sufficient to also sanction the Club as such.”. So, the sanction to be imposed to the club is highly crucial. Therefore; unlike PFDK, CAS does not adopt(!) the formula saying “let’s handle individuals and organizations separately”. What’s much worse: Seven or eight sentences after quotting the translated sentence, PFDK makes the comment below in its report. It says: “In this point of view, punishing the club for enhancing the deterrence to the people will have no effect, at all.” So, PFDK, supposedly based on the award of CAS, uses false and deficient translations and comes to the FALSE conclusion, which it already desired DELIBERATELY. However, CAS suggests exactly the opposite. 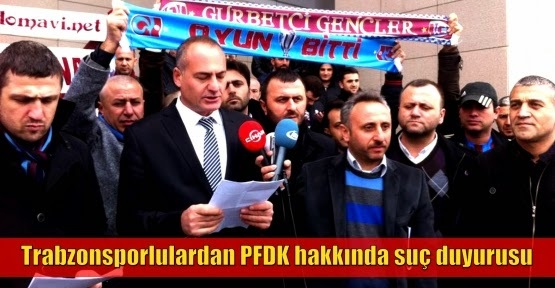 CAS says “you must punish the club”, whereas PFDK says “No punishment to the club”. This is neither a trial nor a construence; it is MISCONDUCT OF OFFICE. PFDK omitted (!) translating the text, two sentences before the sentence it quotted. That omitted sentence says: “As to the Club, the Panel finds the sanction imposed by the UEFA Appeals Body appropriate as well.”. In paragraph 118, which is two paragraphs below, a more clear explanation was made: “THE PANEL THEREFORE CONSIDERS THE EXCLUSION OF POBEDA FROM THE UEFA COMPETITIONS FOR A PERIOD OF 8 YEARS TO BE AN APPROPRIATE SANCTION.” So, a club was excluded for 8 years as a result of a match-fixing for betting commited by its president ONLY. This is what UEFA and CAS finds appropriate. However, PFDK does not impose(!) any sanction for match-fixing in 4 matches and incentive bonus in 3 matches, which were commited by president of the club, its management and employees and was found and adjudicated by Heavy Penal Court. b-The underlined words in the translated text, also, attracted attention. PFDK mentions manipulation of the “match results”. However; in the original text, CAS says “games”. In any English dictionary on may look up, that word means “contest, play”, not the “match result”. Therefore, CAS refers to deliberate manipulation of the contest, not the match result. Using this mistranslation, PFDK deliberately mentions “affecting the match result”, through which it attempts to prevail the criteria “reflection onto the field”, a term invented by PFDK, in order to avoid punishment of the match-fixing. The criteria of “affecting the match result” as sought in TFF Disciplinary Instructions, is in fact a regulation against the practice of CAS. According to UEFA’s Disciplinary Regulations, “affecting the match results”, or “reflection onto the field” as the saying goes by in Turkey, is not a condition for occurrence of match-fixing. According to UEFA Disciplinary Regulations, “who acts in a way that is likely to exert an influence on the course and/or the result of a match or competition by means of behaviour” are not allowed and subject to punishment. At the bottom of page 84 and the top of page 85 in its decision, PFDK made a quotation from CAS award on PSV Eindhoven team. Indeed; in the same section CAS said: “. If clubs were able to extricate themselves from any responsibility by claiming that they had taken any measures they could reasonably be expected to take to prevent any breach of the UEFA rules, and if supporters still managed to commit such an act, there would be no way of penalising that behaviour even though it constituted a fault in itself. UEFA’s rules of conduct would therefore be nothing more than vague obligations, since they would be devoid of any sanction.” No doubt(!) that PFDK did not quote these expressions. On the other hand, this decision is on actions of the supporters. Even though, CAS held PSV, whose supporters were involved in violent actions, responsible for them, decided to impose penalty and stated it in the award. However, PFDK did not feel the need(!) to mention these facts. While CAS accepts penalisation of a club for violent actions of its supporters, PFDK denies penalisation of a club, on ground of the match-fixing commited by the club’s executives. III- PFDK creates a new criteria for avoiding penalisation of match-fixing: There would be anomaly in the bets, if there was match-fixing. Therefore, PFDK gave birth to one more new criteria in line with its goal of avoiding penalisation of match-fixing. It can be express as follows: If there is a match-fixing, one can understand it from the bets. If there is nothing abnormal in the bets, then there is no match-fixing. However, in Pobeda award of CAS, quoted by PFDK, CAS says: “Although match fixing and betting activities were specifically implemented as examples of a breach of the principles established under article 5 DR only in the 2008 edition of the Disciplinary Regulations, the Panel has no doubt that already before, match fixing activities always constituted a breach of the principles of loyalty, integrity and sportsmanship and thus, violated also the 2004 version of article 5 DR.” . Therefore, the violations noted in UEFA Disciplinary Regulations were listed as examples only. So, the violations are not limited to them (In a legal language: Situtations specified in article 5 DR were not listed on numerus clausus basis; they are not numerative or exhaustive; they are examples only). Besides, PFDK’s particular approach arguing that occurrence of match-fixing is subject to existence of anomaly in bets, was neither mentioned by CAS nor ever enacted by UEFA. Moreover, Pobeda award of CAS relates to match-fixing for betting. Even though, no award of CAS includes a determination or principle saying “existence of match-fixing is subject to anomaly in bets”. In summary: Every case of match-fixing does not necessarily involve a cheat in betting. Match-fixing for betting is only one of the examples of match-fixing. Pobeda award of CAS does not include a principle saying “occurrence of match-fixing is subject to anomaly in bets”. However, PFDK created(!) this criterion. PFDK did not feel (!) a need to translate the most outstanding expression of UEFA, set forth in paragraph 33/e of the same award of CAS. CAS says: “When dealing with the principles of loyalty, integrity and sportsmanship which are protected by Article 5 2004 DR, the mere appearance of impropriety was sufficient to consider that the principles of article 5 2004 DR had been breached and that it was not necessary to establish the exact manner in which the match was fixed.” So, in considering whether to impose penalty for a match-fixing, violation of UEFA Disciplinary Regulations is the crucial point. It is not even necessary to evidence it was violated through betting or in any other way. So much so that, only the appearance of vioaltion is adequate. 3- It is a legal requirement for TFF and PFDK, a body of TFF, to comply with International Sports Law and its institutions. Subparagraph (c) of article 3 “Duties” of the same law says “To ensure the proper implementation of the rules set by the governing bodies of FIFA and UEFA, set up all domestic regulations and represent Turkey abroad on subjects related to football.” So, it clearly provides for TFF’s and, naturally, its bodies’ requirement to act in compliance with UEFA regulations, so these arbitral decisions, being complained, which were adopted in violation of UEFA decisions and CAS awards, are unlawful. Subparagrah (g) of the same article says “To fight against violence, match-fixing, incentive bonus, racism, doping and any kind of discrimination.” Though TFF was charged with the foregoing duties, its decision, being subject of the complaints, clearly shows that PFDK is in a kind of attempt to legalize the individuals and organizations that commit the crimes of match-fixing and incentive bonus, rather than fighting against them. Sub-paragraph (f) says “To ensure that its own members, clubs, football players, officials, managers, head coaches and trainers, medical staff, players’ agents, match agents and all other related people comply with the statutes, regulations and directives set forth by FIFA, UEFA and the TFF as well as the decisions adopted by the competent organs and bodies of these governing bodies.” The foregoing are included in TFF’s duties. What does this means? TFF and bodies that constitute its organs must comply with the instructions issued by UEFA and FIFA. No doubt that this includes UEFA Disciplinary Regulations. However, as illustrated in the content of the complaint, TFF chooses committing various crimes for the sake of not taking the necessary action, and remains far from complying with the regulations. Turkish Football Federation is an organization that has nature of a public institution. In this respect, the offices served by its employees have public function. In article 6 of Turkish Penal Code, a public servant is defined as “a person that participates in provision of public operations through appointment or election or any other way, permanently, for a definite period or temporarily”. For this reason, PFDK members are public servants. All members of Professional Football Disciplinary Board practice law. There is no way, in light of the ordinary course of life that they do not know the content of the applicable law or can’t understand what they read. With a view to PFDK’s decision, being subject of the complaint, you will see that it includes considerations that cannot be characterized as construence and mistranslations that were made on purpose, as we illustrated. The board’s decisions are far from being reliable, because wording of law no. 6222 was deviated for being used in support of the decision and was totally reshaped for being used as a means of their own goal and the decision was supplemented with mistranslations of CAS awards and distorted analyses, though original Cas award could have been used as precedence for sports law. All the evidence and the decision itself indicate existence of an approach having nature of a peril that cannot be recovered by an ordinary objection. In other words, the problem is not a merely mistaken decision of the board. There is a very serious crime to be faced by the Turkish Football community. PFDK members abused their duties. Abuse of authority in an office, as provided for in the first paragraph of article 257 of Law no. 5237 occurs where a public servant acts in violation of requirements of his duty and his violation leads to victimization of people and damage to the public or receipt of unjust enrshment of certain people. The decision, adopted by PFDK members caused highly significant moral and material damage to Trabzonspor Club, as explained above, as a result of the board’s failure to punish Fenerbahçe SK and its board members. The concept of being victim is not limited to sole economic loss, it refers to a situation caused by infringment of any kind of right. On the other hand, board’s failure to impose penalty in support of its wrong and groundless decision continues the grievance; it is clear that failure to render a decision within a reasonable period of time caused the grievance. Besides, PFDK, as a public institution, destroyed the reliability of Turkish Football Federation by this wrong and unlawful decision, led to a process, where the decisions regarding the federation are being examined by UEFA, as a result of which Turkey was deprived of international tournemants which were likely to be awarded to Turkey, and Turkish teams in international competition and Turkish leagues in the world lost their reputation; Turkey’s image turned into a system that, a kind of ignores and allows match-fixing. In light of the foregoing, it is also possible to talk about a damage given to the public by PFDK. The lawmaker’s aim in enacting article 257 was orderly operation of the public administration by ensuring the discipline in public services and providing the public servants to act in compliance with requirements of their duties. So, the legal subject of these crimes is the state’s interest in respect of orderly, efficient and fair performance of the public duties. By its actions, PFDK prejudiced the state’s interest, as well. The intent is evident considering the facts that the wording of law was quoted different than the true wording and the awards of CAS were mistranslated many times. As a result of all the reasons above, it became necessary to file this complaint for conduction of due penal prosecution about PFDK members, whose actions constitute crime. LEGAL GROUNDS : Turkish Penal Code and relevant legislation. Respectfully submitted for taking necessary action to initiate legal action on behalf of the public by commencing the necessary investigation about the suspects.